NEW TIME!! Doors open at 11:45 a.m. with lunch at noon. Stick around after the lunch ends at 1 p.m. for networking! ONLINE REGISTRATION IS NOW CLOSED FOR THIS EVENT. WALK-INS ARE WELCOME AT THE DOOR FOR A FEE OF $50. 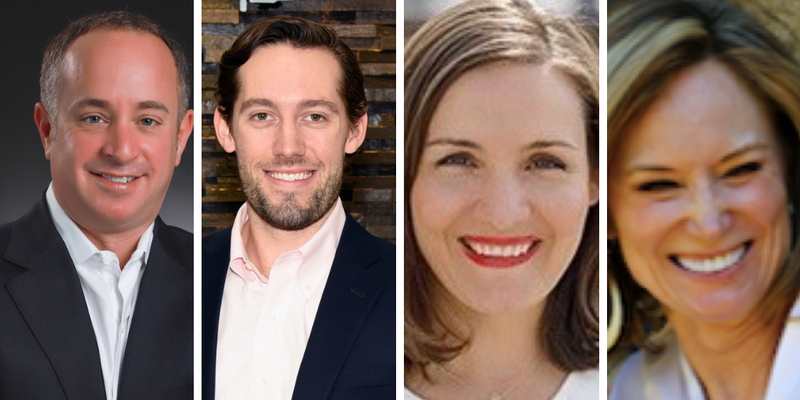 Join Venture Connectors on Wednesday, March 6, for a panel discussion with some high-profile executives who are spearheading intrapreneurship efforts within large, local companies. Panelists include Brian Holzer, M.D., Founder and CEO of Lacuna Health, a subsidiary of Kindred Healthcare, W. Colton Payne, Global Brand Manager for Woodford Reserve and Old Forester at Brown-Forman Corp. and Emily Geiger, VP BigCo Innovation at Cintrifuse & Managing Director of Spry Labs. The discussion will be moderated by Tonya McKinney, Managing Partner and Innovation Champion for Tata Consultancy Services. Intrapreneurs are known for approaching leadership and operational challenges like entrepreneurs. The panelists will share how the are working within the boundaries of their organization to build creative and innovative products and programs.